Foxconn is famed for producing high-tech goods, including the Apple iPhone and iPad, from its factories in China but the Taiwanese company is poised to expand in Brazil, where it is ready to close a $500 million deal to grow its manufacturing capabilities. Parent company Hon Hai told Brazil-based news agency Estadao [translation] that an agreement to open a new industrial park will be announced tomorrow. The new facility will produce parts for smartphones, tablets and devices, and it is expected to create 10,000 new jobs in the country. The site will be located in Itu, an emerging manufacturing hub that lies 100 kilometres outside of the capital city. The city is also the location for a new $30 million Lenovo plant, which is due to be completed by the end of the year. Foxconn will build up to five new factories there; construction is tipped to begin in 2014 on a schedule that will see the facilities up and running two years later. With its new addition, Foxconn’s Brazilian business will have a factory that is involved in every part of the Apple manufacturing chain, bar producing TFT (thin film transistor) LCD displays. Almeida told media that he is aware of that gap, but there are no immediate plans to pursue the possibility of a local TFT factory. 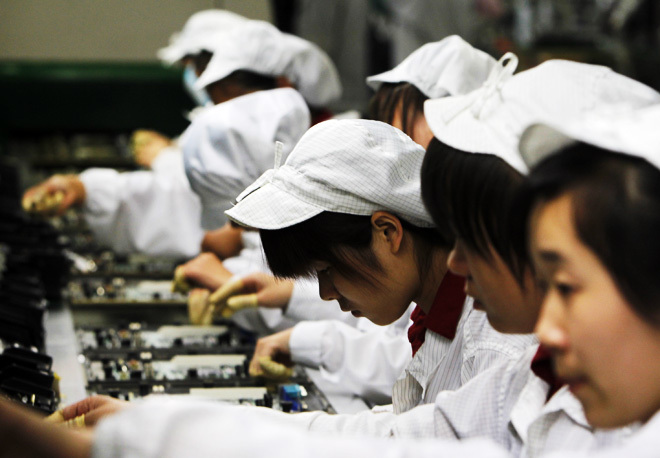 Foxconn has been much maligned for the tough working conditions endured by its workforce, which tops 1 million worldwide. While the majority of the attention has focused on China — which was the subject of an uncover report this month — Brazil has endured its share of issues. The company’s 2,500 workers at its Jundiai (Sao Paulo) factory were reportedly close to going on strike in April, while bureaucratic issues have dodged further investment plans. Tax reasons were thought to have scuppered Foxconn’s plans for Brazil, but any problems that had threatened further investment now appear to have been ironed out. The investment will be made official tomorrow when Henry Cheng, who heads up Foxconn in Brazil, attends a signing event with Investe Sao Paulo president Luciano Almeida and State Governor Alckmin. Foxconn has been linked with plans to develop a presence in Indonesia, with a project that local authorities hope could be worth $1 billion. Read next: Sony's PlayStation Mobile platform launching in Oct.; PlayStation Plus for PS Vita in Nov.